Carbon emission is the cost that has long been paid by the developed countries. Carbon emission has infact brought the prosperity to the developed countries but certainly not in terms of sustainability. Their economic growth and the developmental changes are based on carbon emission based economy .The economic growth and prosperity is based on carbon emission and has been driven by the energy derived from conventional source like coal, oil and natural gas. true sense. 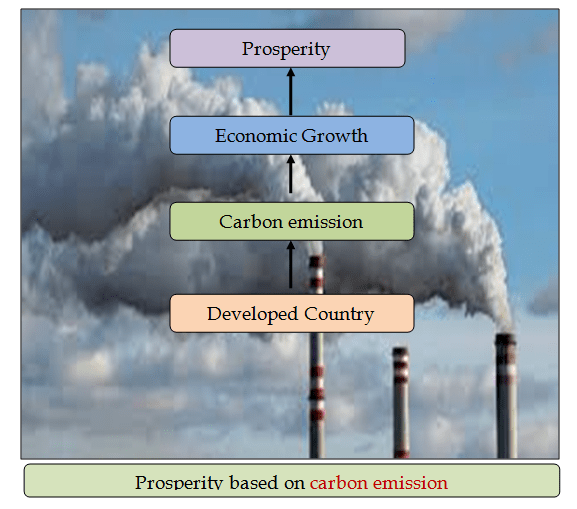 Prosperity at the cost of carbon emission is well as accepted by the developed countries as a hazardous one without any linkage with sustainability. It is a development that seems fine in short run but can’t be said as constructive development. Limiting the carbon emission is the main focus of Kyoto protocol. The red signal of destructive destruction is clearly visible and repeatedly appealing for limiting the carbon emission. Inspite, the developed countries are not willing to think for limiting their carbon emission. Developed countries are afraid that limiting the carbon emission will limit their economic growth .Time has come to think on various ways of limiting the carbon emission.